The first two posts in this series have provided an insight into the diversity of pupils with EAL and practical advice on how to support the specific needs of new arrivals. In this post we move on to examine the importance of assessing English language proficiency and provide advice on how to undertake EAL assessment. Data from the January 2018 School Census identified that there are now over 1.5 million learners with EAL enrolled in schools in England. 21.2% of state funded primary pupils and 16.6% of pupils within state funded secondary schools use EAL. As discussed in previous posts, pupils who use EAL represent a hugely diverse group with many factors contributing to their make-up and attainment. Amongst these factors, language skills (both English and first language) play an important role. As research has consistently shown, understanding a pupil’s proficiency in English provides essential information about an EAL learner’s likelihood to succeed in school and their need for support (Strand & Demie, 2005; Strand, Malmberg, & Hall, 2015, Strand & Hessel, 2018). This is why assessment is so important. Previous research demonstrated that it is ‘Proficiency in the English language [that] is the major factor influencing the degree of support an individual student will require, and schools will need to be able to assess this need accurately.’ (Strand, Malmberg and Hall (2015)). Proficiency in English explains 22% of the variation in EAL pupils’ achievement compared to the typical 3-4% that is statistically explained using gender, free school meal status and ethnicity. This indicates that proficiency in English predicts unique variation in pupil achievement. Pupils’ attainment increases with greater English proficiency, indicating a strong link between proficiency in English and educational attainment. This can be seen through pupils at the New to English or Early acquisition stage attaining below the national average, those at Developing competence attaining very close to the national average, while those at the Competent or Fluent stages attain significantly above the national average. What matters most for EAL pupils’ degree of English proficiency is not their gender or FSM eligibility, but their age. In Reception and KS1, 55% of all EAL pupils were assessed as acquiring proficiency in English (rated as New to English, Early acquisition or Developing competence), compared to about 23% of pupils at the end of KS2 and 15% at the end of KS4. However, the report also highlights that there is a need for English language support at all ages. The key is to assess proficiency in English language and to develop tailored support when a pupil first arrives in school, at whatever age, to enable them to access and achieve through the curriculum. Bilingualism can have positive associations with achievement. Speaking more than one language, for those rated as Competent or Fluent in English, can have a significant positive association with achievement. However, low proficiency in the language of instruction can be a barrier to learning. Therefore, pupils need to be supported adequately so that they can acquire the proficiency in English they need. With such a solid evidence base, schools with EAL learners should consider using a valid and reliable formative assessment process (as detailed later in this blog). It is also crucial that any assessment carried out also considers an EAL learner’s cognitive skills and previous educational experience. It spotlights the learner’s needs in a particular area of language – an EAL learner may appear to be fluent because they can converse easily, but this ‘fluency’ can be deceptive. Language proficiency can vary across the four strands (listening, speaking, reading and viewing, and writing) of language use in different curriculum areas. For schools and teachers an important first step in supporting EAL learners to achieve their full potential, with particular reference to English language development, is to use an EAL assessment framework. This framework should be used to identify what a pupil can do, enable diagnosis of needs and individualisation of learning, so as to inform curriculum provision and promote potential development. An example of this is The Bell Foundation’s easy to use, award winning (British Council ELTons Award winner 2018 for Local Innovation) EAL Assessment Framework for Schools which can be used as a road map for progress, to check pupil performance and to inform planning. EAL proficiency can be assessed at the end of an academic year or Key Stage through tasks that tap into the knowledge and skills identified in the Framework’s descriptors. It also adopts a five-band scale from A (New to English) to E (Fluent) and assesses the four strands of language knowledge and use. The framework is accompanied by a set of Support Strategies which are designed to enable practitioners to support learners to develop the levels of English proficiency needed to access the curriculum, Look out for the next blog which gives further tips on support strategies. EAL learners typically develop communicative language quite quickly but can take longer to develop the language needed for academic success. Using a framework in the assessment of English language proficiency highlights that it is not just those New to English who require support it also signposts targets for those learners working at bands C and D to help them to catch up with monolingual peers in the development of cognitive and academic language proficiency. For a more detailed list please see this article. The importance of undertaking all elements of assessment can be exemplified by looking at Aino, a new arrival in school, who had experienced a high quality, consistent education; had achieved well in exams; and had some exposure to English whilst in Finland. An initial assessment found that Aino was able to understand conversational English, she had covered much of the lesson content in Finland and, indeed, that she excelled at Maths equations. However, as the illustration below so clearly demonstrates, it was not until a full assessment was undertaken to establish her competencies and abilities that it was found that Aino had no experience of written or academic English and therefore lacked the vocabulary to fully participate in class. Being recorded as having English as an Additional Language does not predict likely attainment, however, a learner’s proficiency in English does. 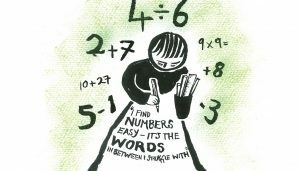 By using valid and reliable assessment to establish the EAL learner’s current proficiency in English language, alongside other background information, schools can provide individually tailored targets and support strategies for teaching and learning, ultimately allowing learners to develop their language skills and fully access the curriculum as well as achieve an inclusive school. The benefits of a multicultural, multilingual school can apply to the whole school – by developing a better understanding of different cultures and encouraging second or third language development in their peers these benefits can be spread across the whole school environment. This post is an abridged version of two articles, the first written by one of the research authors Professor Steve Strand, Oxford University Department of Education and Diana Sutton, Director, The Bell Foundation for SecEd and the second by Katherine Solomon, Training Manager, The Bell Foundation for HeadTeacher Update in November 2018. This is the third post by The Bell Foundation, a charity which aims to overcome exclusion through language education both within the criminal justice and education sectors.? If you would like to sign up to receive notifications of new posts please complete the ‘Contact Us’ form.